The first episode L'Héresie de la Renaissance du Nord (1973) of the segment devoted to the painter Hieronymous Bosch titled Bosch, Le Peintre du Fantastique, part of Kijû Yoshida's unique and monumental television work in Europe during the 1970s Beaute de la Beaute starts in the serene Flemish city of Ghent. Yoshida's camera gracefully pans across canals with a voice-over introduction to the history of the city before slowly scaling the length of Saint Bavo's cathedral which today lies across the street from Sphinx Cinema en café, one of the principal venues of the Courtisane festival that in it's fifteenth edition this year, deserves it's rightful place among the cinephile calendar events. This is somehow paradoxical because calendar events such as the major festivals by nature have certain aura about them, of glamour, paparazzi, press, red carpets and it's regular share of controversies. Courtisane has none of these, and yet in fires up our cinephilic imagination. Without so much getting caught up in the false binary of big fish and small fish, it is necessary to introspect upon the programming arc of Courtisane which at the end of the day distinguishes one festival from the other, once each of them is stripped down to it's bare soul. The modus-operandi of Courtisane is far removed from being assimilative, the frenzy of “you-saw-it-here-first” premieres, it thrives on creative programming apart from being inclined to present work of artists who function against the grain, in other words, artists who “DISSENT!”. Just to cite one example, three films shot in Palestine were screened together as part of a single program –Sopralluoghi in Palestina per il vangelo secondo Matteo (Pier Paolo Pasolini, 1965), Description d’un combat (Chris Marker, 1960) and Ma'loul Celebrates Its Destruction (Michel Khleifi, 1984) that are separated by time, film formats and motivations and yet when brought together, seem to reside in each others skin while transcending their immediate contexts. One of the major attractions of the festival for me were the films made by various collectives in Britain during the 70s and 80s, films by Cinema Action, Berwick Street Film Collective, Poster Film Collective and Black Audio Film Collective.The roots of this mode of collective filmmaking are in the events leading up to May '68 in Paris, in collective endeavors such as Loin du Vietnam (1967) and Cinétracts (1968). These collective filmmaking efforts have traditionally challenged the auteur paradigm with varying degree of success, Jean-Louis Comolli for example continues to be an outspoken critic of the films by the Medvedkin group in the late 60s and Rivette thought that the short film La Reprise du travail aux usines Wonder (Pierre Bonneau and Jacques Willemont, 1968) is the only interesting film that was explicit in it's relationship with the events of May. Therefore it becomes necessary to distinguish films based on their formal approach, their politics beyond the order of representation and immediate affiliations, the impossibility of being political without a materialist foothold. 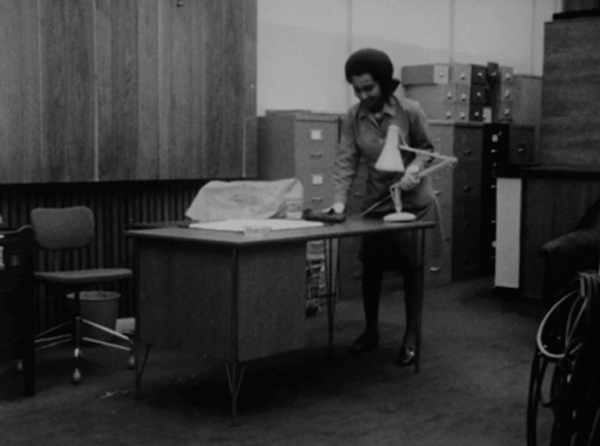 The Nightcleaners (Berwick Street Film Collective, 1975) is a remarkable film in this regard about abstraction and recognition, visibility and invisibility of labor. The film is set in the early years of 1970s before the onset of Thatcherism in Britain as part of a campaign that sought to unionize the severely overworked and underpaid women who were employed to clean offices at night. However the film's complex political sensibilities are laid bare in the opening shot where we see a face in close-up that is almost struggling to come into focus, reminiscent of Peter Gidal's short film, Key (1968). At no point does Nightcleaners intend to embody such bourgeois ambitions of justice by representation, the false pretense of reproducing 'reality', a chronological reproduction of the movement, “registering the vague, unformulated, untheorized, unthoughtout world of the dominant ideology”  but rather by strategically employing asynchronous sound, close up of body parts, unfinished sentences, black spacing and silence like the dying out of sound, the film demonstrates the radical ambition of seeking 'truth' and class politics. The film '36 to '77 (Marc Karlin, Jon Sanders, James Scott, Humphrey Trevelyan, 1978)is a kind of “sequel” to The Nightcleaners, a portraiture of Myrtle Wardally, one of the leaders of the Cleaners' action group strike of 1972 in Fulham. This film also employs strategies of deliberate incoherence like out-of-sync sound, extreme close ups in slow-motion to perhaps underscore the impossibility of understanding the experience of Myrtle. What is also noteworthy here is a possible formal harmony between this strand of oppositional cinema and that of the more materialist ambitions embodied by groups like the London Filmmakers' co-op (LFMC), not merely fund scouting under the umbrella of Independent Filmmakers Association (IFA). The program also included the Cinema Action masterpiece, So That You Can Live (For Shirley) (1982). In the QnA that followed the screening, Ann Guedes, the founding member of Cinema Action speaks of how this film is different in many ways from the other campaign films that Cinema Action was making during the time, in that it involved staging of specific shots (driven mostly by the constraint of film stock and the inability to film indiscriminately as one would deem possible in the digital era), reading of text specifically written for the film by Raymond Williams, shots of reflection while looking at the landscape –a range of formal improvisations that were not common in the cinéma vérité style campaign films that preceded it–. The film takes a more contemplative detour to the questions of gender equality and organized labor at the workplace formulating a layered narrative that is able to connect the individual gestures, movement, silences and words to the larger problems facing the country and indeed the world. Other interesting films were the The Year of the Beaver (Poster Collective, 1985) and Twilight City (Black Audio Film Collective, 1989), about different historical struggles of memory, labour, love and vanishing landscapes in the face of Thatcherist onslaught. One of the figures who was closely connected to these Collective filmmaking initiatives was Marc Karlin. After almost two decades since Marc Karlin passed away in London in 1999, he still remains one of the most obscure, under-watched and under-appreciated filmmakers from Britain. How he has managed to slip under the radar for so long in spite of his pivotal role in the Independent film movement in the country is a matter of intrigue. He acquired pivotal roles within and outside the formations of Film collectives, being central to the Channel 4 initiative, writing about Film and Television magazine Vertigo. His “essay” films evocative of Chris Marker and Jean-Pierre Gorin are in themselves a chronicle of postwar Britain, of colonialism, unionism, Thatcherism, neoliberalism and postmodernism. Courtisane festival showcased three of his essential films outside of his collaborative efforts of The Nightcleaners and '36 to '77, namely For memory (1982), Nicaragua: Voyages (1985) and Scenes of a Revolution (1991). What emerges from Karlin's style is an adherence to a Ruizian prophecy, “Why make things simple when you can make them complex”, the reluctance to assume and demarcate fault lines within the dominant narrative, rather taking the hard route of cinematic reflection of staggered and clumsy human experience, in not trying to reveal the problems of the world in it's completeness by formulating grand narratives, but revealing something important about it. This is especially true in his Nicaragua series for it is very easy to resort to a war reportage style filming like the hideous assortment of John Pilger films, caught up in the mystic first images at the expense of cinematic découpage. Nicaragua: Voyages and Scenes of a Revolution are the first and final chapters in Karlin's five film long engagement with the Sandinista revolution in Nicaragua and it's aftermath as an international journalist, a struggle for social transformation that marked one of the last possibilities of the realization of Socialist dream. For Memory on the other hand marks Karlin's commitment closer home, a look at modern civilization's struggle to free itself from the tyranny of memory, the transforming political landscape of Britain, the changing nature of labor force, new challenges to Classical Marxism and relationship of the city to the country, themes that he continues to explore in his later works like Utopias (1989) and Between Times (1993). The faltering of social aspirations is also central in The Poor Stockinger, the Luddite Cropper and the Deluded Followers of Joanna Southcott (2012) by filmmaker, composer and curator Luke Fowler- an artist in focus in this year's edition of Courtisane. It is a lyrical film that brings together dramatic and somewhat comical readings from E.P.Thompson's adult education papers, archival material with new sound bits and modern day images of industrial towns where Thompson used to conduct his classes of literature and social history. What Fowler achieves here is the density of the landscape psycho-documentaries of Masao Adachi and James Benning, an exploration of a topography to reveal it's history and the relationship to the modern human condition creating a bridge between the past and the present, a film genre that is close to the New Topographics moment in American landscape photography during the mid 1970s. Fowler's remarkable motley of influence is revealed in his curation of a series of short films that include artists as varied as Robert Beavers, Gregory J.Markopoulos, Warren Sonbert, Kurt Kren and Abigial Child. Robert Beavers' Shared Table was a wonderful film of young filmmakers sitting across a table working on slices of Markopoulos' Eniaios, a cycle of films closely associated with the most holy of cinematic pilgrimage. One of the great charms of a festival like Courtisane is the possibility of discovering works by fascinating artists who manage to escape the big festival radars. Two such discoveries were Lux artist Miranda Pennell's enchanting new film, The Host (2015) and California based independent artist and filmmaker Margaret Honda's provocative Color Correction (2015). The Host is a remarkable archaeological film that revisits the colonial gaze, in the process constructing a bridge between modern day Iran and the Anglo-Persian history of oil through the first half of 20th Century . 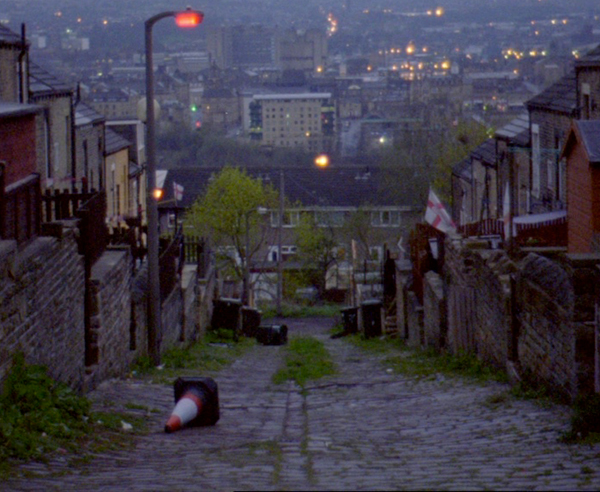 The visual density of the film is lent by a sequence of photographs resulting from personal albums and British Petroleum archives, close-ups of them, landscapes, personal letters, diary entries and survey maps, a film that certainly belongs to the minority genre of 'photodramas' that thrive on a curious fusion of voice-overs and photographs . The Host is replete with tricky sound cues aside from the voice-over, bits like the sound of flowing water, gushing wind, pencil scratching on a surface, turning of a page. These bits permit a certain playfulness of sight and sound often allowing one or the other to assume an anchor role, a feature that reminds us of early sound films of Jean Renoir. Margaret Honda's concept-film, Color Correction is marked by an ascetic formal coldness that allows the audience the liberty to imagine their own film. Of course the audience of a film is always participating in the creation of the film that they carry with them, but here a more active participation is sought. 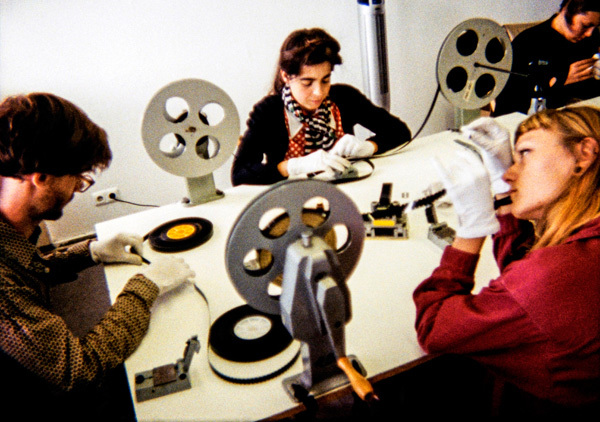 The film was made using timing tapes used to correct the color of a Hollywood feature, an essential aspect of material film projection. High-concept artistic practice can be defined on two axes, the nature of production of the work and the sociological context that it emerges from. In a way, Color Correction is a work of abstract expressionism that also comes close to being the purest materialist film that compels us to contemplate on the fate of celluloid. Margaret Honda tells us in an interview that one of the members of the audience thought that the film from which the timing tapes were taken was an action film , a perfectly plausible happenstance. With Color correction (as with her previous film, Spectrum Reverse Spectrum) we are presented with a cinema that fundamentally challenges the possibility of digitisation, even much more than say the Fordian western. These films of Margaret Honda and the celluloid medium are locked in an embrace like the couple in Edvard Munch's famous oil painting, The Kiss. In the world of cinema where 35mm and 70mm filmmaking is struggling against the massive logistical gains of it's younger digital sibling, and where the debate is being conservatively dislocated to the question of “cinematic authenticity” by the likes of Christopher Nolan and Quentin Tarantino, Honda's films present a potent counterpoint, in that it is in an organic relationship with the medium without incurring the cost of an usual celluloid production: film in the times of digital upheaval! Digital filmmaking though continues to be the backbone of filmmakers like Wang Bing and Lav Diaz. Post-socialist China and it's relationship with the social, economic and geographic margins have been a focal point for independent digital filmmaking hailing from the country. 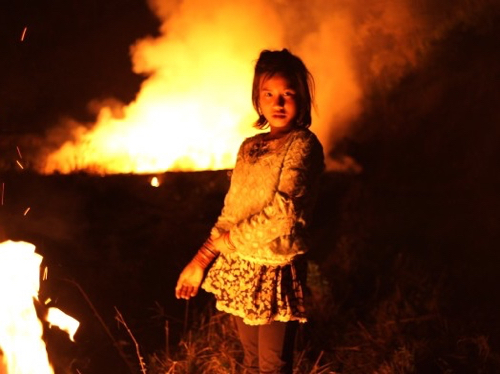 Alongside a few other films I saw at recent festivals (Zhao Liang's Behemoth at the Viennale and Bi Gan's Kaili Blues  at Rotterdam), Wang Bing's Ta'ang (2016) that premiered earlier in the year at Berlinale is yet another film that finds at it's heart the plight of the marginalized, people of the Palaung ethnic minority fleeing civil war in Myanmar who have crossed over to the Chinese side of the border. Over four days and three nights, Wang Bing films in these refugee shacks, the routine acts like eating, conversing and falling asleep. What is extremely intriguing in Wang Bing's cinema is the relationship of the camera to his subjects, just sufficiently distanced so as not to be intrusive thus rarely evoking any form of self awareness in front of the camera, while avoiding the alienation of faces, gestures and motion. Wang Bing's style is akin to documentary realism yet never really being devoid of the dramatic axis. In one of the most amazing shots in Ta'ang, refugees sit around a flickering lamp in a gust of wind, hands shielding it from blowing out as if the lamp was their lives caught in the adverse struggle for existence. Shots such as these and filmed campfire conversations mutate the mundane unfolding of events that reside on the surface of his films, while not challenging the inevitable, underscoring the humane and emotional quotient of barren lives. Wang's employment of contemplative long takes often unveil intimate details of these struggling lives, a rigorous yet tender style that is sharply observational, astutely economic and profoundly evocative. While Wang Bing still works in the shadows in spite of being one of the most significant filmmakers of our time, Lav Diaz, often thrust together with Wang under the spurious grouping of slow cinema, has enjoyed significant limelight in recent years by virtue of his presence in major film festivals like Cannes, Locarno and Berlin alongside two retrospectives of his work last year in Paris and Brussels. Lav Diaz's latest Hele Sa Hiwagang Hapis (A Lullaby to the Sorrowful Mystery, 2016) is based on the enigmatic figure in the Filipino anti-colonial struggle in the later part of the 19th century, Andres Bonifacio. In Lullaby, Lav Diaz directly tackles his country's colonized past, a departure from his usual trauma-sagas where troubled characters seem to drag with them the burden of history, a tendency that was already noticeable in his previous narrative feature, Mula sa kung ano ang noon From (From What is Before, 2014). Many scenes especially those shot at night and there are quite a few in Lullaby, quite glaringly come off as staged theatrical productions, the lighting is most uninspiring in it's orchestration thus robbing the characters of the depth and volume that could have been bestowed upon them. Lullaby at least on first viewing seems to be lacking in the lyricism that one associates with great epics, a certain rhythm is missing that could hold the film together. 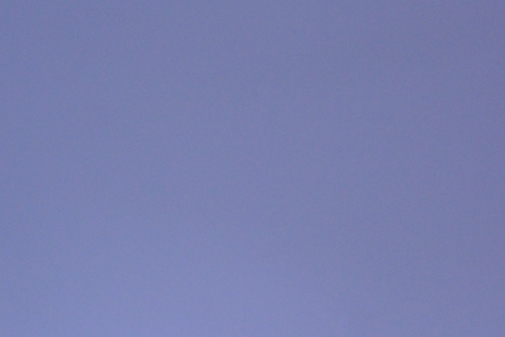 An aesthetic tenacity that characterized his films up until Florentina Hubaldo CTE (2012) seems to have vaporized, and Lav's reconciliation with more conventional narrative strategies is lacking in dexterity that seems very natural in the films of Apichatpong Weerasethakul resulting in a rather discomfiting compromise. The cult of Lav Diaz is probably here to stay, cinephiles and festival goers will continue to drool over the duration of his films and further revelations are awaited about the character of oriental temporality vis-a-vis the fast paced modern lives in western societies, but one wonders if this exceptionalist adulation by his die hard fans will do any good for the cinema of Lav Diaz. Coming back to Courtisane, one of the downsides that accompanies such inspired programming is often the films that you have to let go, most often an impulsive decision since there are no obligatory “fillers” that swell the schedule. But that is a downside worth having, here's looking at you! 1. Six directors, namely Alain Resnais, William Klein, Joris Ivens, Agnes Varda, Claude Lelouch, and Jean-Luc Godard were involved in this 'Left bank' collective film that confessed it's solidarity with the North Vietnamese resistance during the Vietnam war. 2. 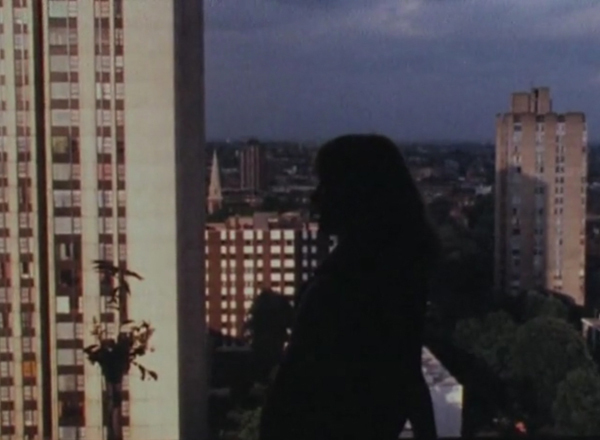 Film shorts from the May '68 streets by various filmmakers. 4. Other films could be imagined belonging to the genre are Chris Marker's La Jetée (1962), Peter Nestler's Tod und Teufel (2009), Travis Wilkerson's An Injury to One (2002), Hartmut Bitomsky's Das Kino und der Tod (1988), Boris Lehman's Histoire de ma vie racontée par mes photographies (1994-2001), David Perlov's My stills, José Luis Guerín's Unas fotos en la ciudad de Sylvia (2007) to name a few. 5. An interview with Margaret Honda on the reverseshot website.